They may sound edible, dare I say it? even quite appetising, and they are useful eating for other marine organisms, but these are only a few of the astonishing marine species that can be found just off Cumbria’s seashores, that most of us don’t know about. Basking sharks, Killer whales and Leatherback turtles are the heavyweights that would benefit from Marine Reserves, but there are many, many other species, including the dragonish Pipe-fish that Kay passed around for us to inspect, that are mostly unknown to the public, and many of these unknown, humble benthic mud-dwellers are vital elements of Cumbria’s living sea . 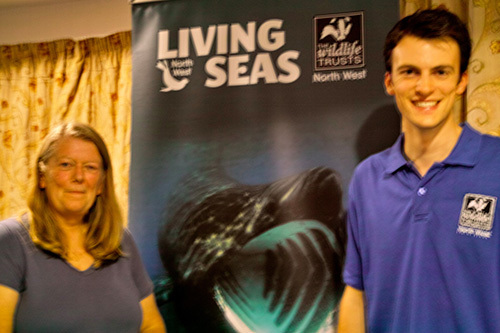 Cumbria’s marine environment is special and worthy of proper conservation we learned from an informative and interesting illustrated talk by Cumbrian volunteers Kay Foster and Jonathan Holt from The Marine Conservation Society on Oct. 22 at Maulds Meaburn Village Institute. Kay told us about the MCS’s Good Beach Guide that reports the quality of our beaches. You could walk your dog along any one of Cumbria’s beaches and be unaware of the amazing stuff that’s going on under the waves. Have you heard of a Sea Pen? Maybe. How about a Quahog? Sounds like something from another planet? This Methuselah of marine invertebrates lives in Cumbrian bottom mud, can live 500 years and is an important part of the marine food web, favoured by Cod. It has the most extensive honeycomb worm reefs in the UK within the zone, at Dubmill Scar and makes up 37% of the total in the entire network. Though each individual Recommended Marine Conservation Zone has its purpose and its reasons for recommendation , together they make a network that is greater in importance than its constituent parts and this is what is important! The message was clear, even if the water off Cumbria’s coast is often a translucent cafe au lait brown, our portion of Marine heritage is a rich one and is worth protecting not just for its intrinsic biodiversity value, but because of the interrelation between the organisms and the ecosystem services that they perform, such as water filtration or bringing minerals into the food-web. Also we learned that we all can play a part, whether we are assisting with an MCS Pollution team beach clean-up or asking our elected politicians to ensure meaningful protection for our sea life, participating in an underwater survey to document it, or when we are out shopping for seafood. “Of the 150 species caught by UK fishermen, we largely eat just 5!” Kay told us. “60% of the fish we eat is imported” we learned, while a huge bulk of the seafood caught by our fishermen is exported.” If that sounds odd, think about your shopping baskets. Mine is a case in point, I’m a conservative fish eater, I like white fish, but it doesn’t have to be a Haddock or Cod. We were encouraged to sample other fish and give the commonly bought, most popular types of fish and shellfish that are being hit hardest at the moment: Tuna, Cod, Haddock, Wild-caught salmon and Shrimp a break. Considering the environmental costs of the fish we buy and checking the packets for the logo that certifies responsible sourcing will help address a dangerous imbalance of consumption. Less than 0.001% is fully protected from damaging activities. The MCS is hoping that the Government will come through with a useful and whole-hearted protective response. 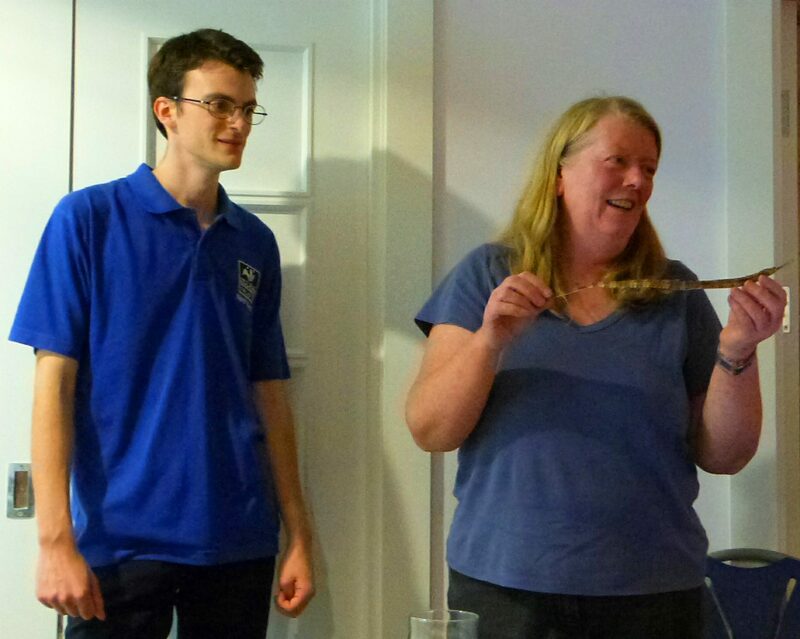 Kay passed a Pipe-fish found dried on the strand line, an ambassador of Cumbria’s unusual sea life. We heard about the parlous state of the World’s seas with depleted fisheries and increased pressures on the fish that remain, causing people to go ‘fishing further down the food chain’, even Antarctic Krill have been considered as a catch, would you believe it? 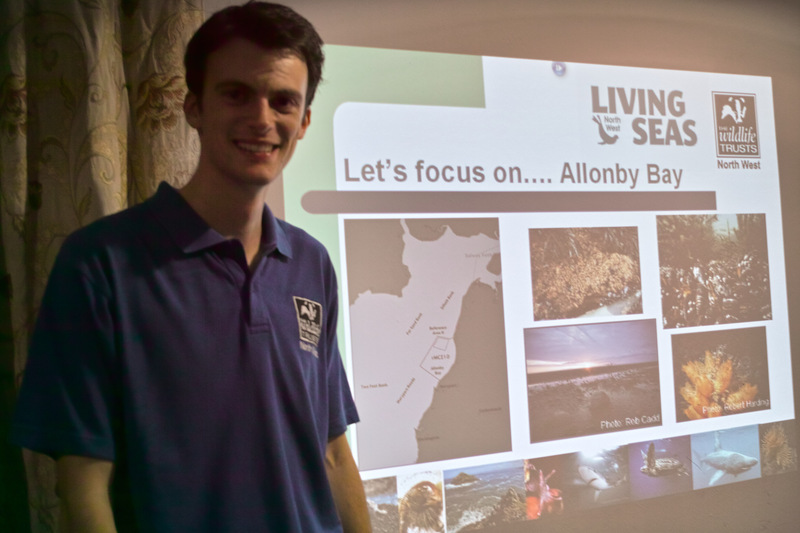 You can write to our MP asking for the Marine Conservation Zone plans to be implemented via the MCS Website . This entry was posted in Reports of events and tagged Marine Conservation Society, Marine Conservation Zones, Maulds Meaburn Village Institute. Bookmark the permalink.